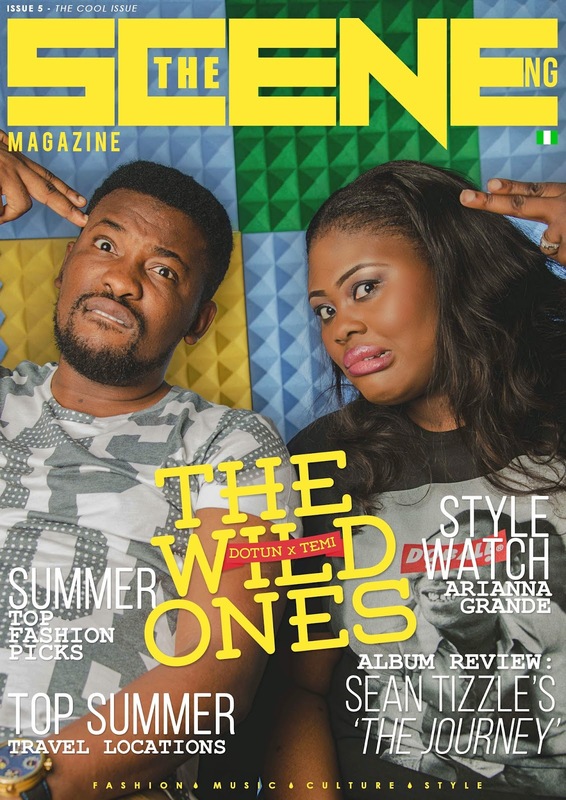 THE SCENE MAGAZINE is back into the scene with a bang featuring DO2DTUN and TEMILISTIC TEMI aka THE WILD ONES OF COOL FM on its cover. This issue which marks the fifth edition of the magazine is tagged ‘the cool issue’ as it lets the fans get to know what goes on in the minds of the dynamic radio duo, issues affecting entertainment and the country in general. The issue also features ASA ASIKA in the ‘be inspired’ column which is for youths who have achieved greatness over the last few years. The usual articles are not left out, from fashion to the latest entertainment and lifestyle and also sports, this issue does not fail to impress its readers with the best content. Follow @TheSceneNg on twitter, facebook and instagram.